Eaden Marti is a magician and mentalist who blends his talents to create a unique experience for all his audiences! 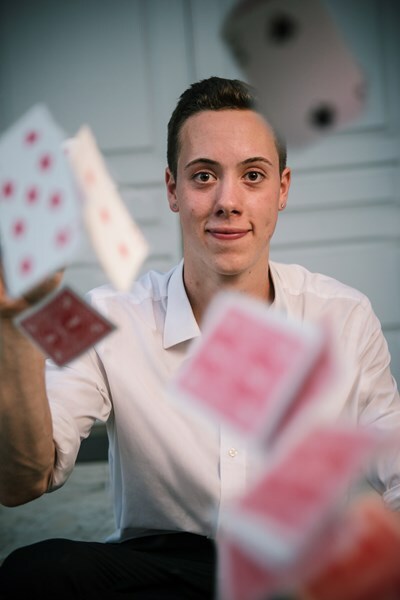 As one of the nation's premier teen magicians, he provides professional entertainment that is nothing short of outstanding. With 10 years of experience and many awards under his belt, Eaden seeks to entertain and intrigue his audiences. 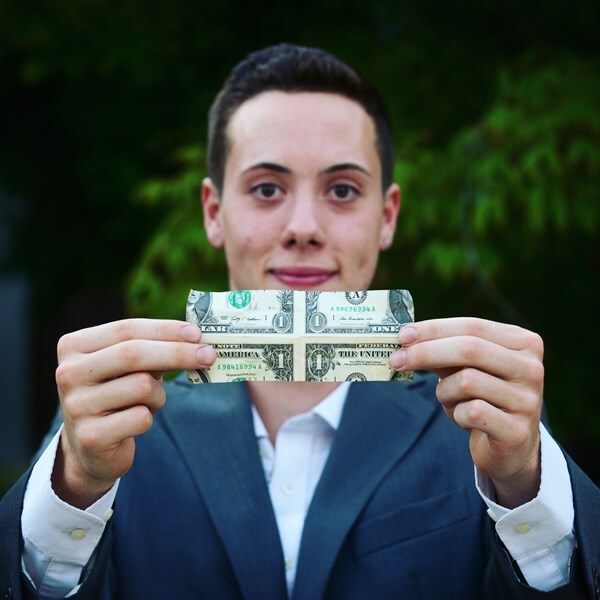 Whether you're looking for a stage show or more intimate close-up magic, Eaden will provide a performance that the audience will remember for years to come. What You Get: A professional, customizable show featuring magic, mind-reading, predictions, and lots of audience participation. About: Eaden saw his first magic show at age six and has since been learning, creating, and performing. 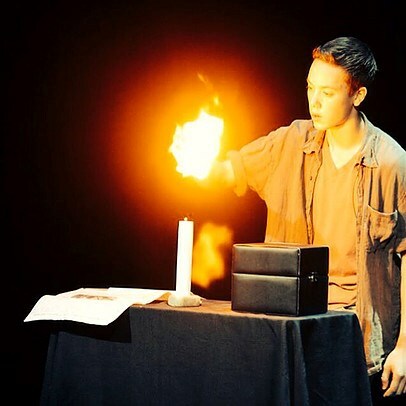 Even though he is only 17 years old, he has worked hard to be at the top of his craft; including being a finalist in national magic competitions and state talent show competitions. Eaden was fantastic. He was great in keeping in communication with me prior to the event, and was very accomodating with all of my requests. My quests were thrilled and astounded by his magic tricks! I only wish I had hired him for more than an hour! I highly recommend Eaden. Eaden’s expedient response to my initial request for a magician and subsequent finalizing details contributed to the sucessful arrangement of my daughter’s 16th birthday party. Eaden’s professional and youthful style blended with his magical energy mixed well with all the age groups. We really enjoyed having Eaden be a part of our celebration in our home and highly recommend his performing abilities. Eaden was great and my guest really enjoyed his performances throughout the night. Many guest were very impressed with him and many people were talking about it to the other guests. Eaden was very professional. I would hire him again. Please note Eaden Marti: Magician & Mentalist will also travel to Braintree, Cambridge, Newton, Readville, Brookline Village, Medford, Randolph, Milton, Quincy, Wallaston, Watertown, West Medford, Weymouth, Arlington Heights, Holbrook, Melrose, Nonantum, North Quincy, Waverley, Dorchester, East Weymouth, Hyde Park, Mattapan, North Weymouth, Oakdale, South Weymouth, Waltham, Babson Park, Avon, Canton.